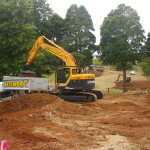 Siteworx Northland Ltd is a locally owned and operated firm with a depot in Waipapa that carries out Civil Engineering, Drainage, Construction, Earthmoving and Landscaping mainly within the Bay of Islands area, but also anywhere in the Far North. No job is too big or small for us, we aim to provide quality service no matter how simple or complex it is. 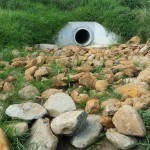 We can look after your earthmoving, drainage and construction requirements. “We can do it all”. We cover a wide range of services and we do every job as if it were the first for us and leave every customer satisfied and happy. We at Siteworx try to make the entire procedure less strenuous for you, we offer all the services associated with the project ensuring you don’t have to keep calling others to get different aspects of the job done. 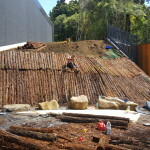 For example, if you want a retaining wall built, we can come in, drill the holes, supply the materials, build the wall, scoria, back fill and clean up. Although we offer all of these services we are more than happy to be involved in part of your project rather than none of it, if your existing contractor does not cover the full range of services that we do, we can work in with them.